Domino's Pizza is really bringing it home. Its stock hit an all-time high Tuesday, reaching $151.20. The shares are up 35% in 2016 alone. Domino's has aggressively courted Millennial stomachs by upping its online game and allowing young people to order via texts and also tweets. The game plan has paid off. Half the company's U.S. sales are digital, according to a March report by BTIG analyst Peter Saleh. Pizza is the most popular purchase among 20-somethings, according to data provided to CNNMoney by the popular money transfer service Venmo. Domino's (DPZ) is tapping into just that set. The company garnered significant attention when it launched voice ordering technology in October 2014. It rolled out emoji ordering on Twitter in May 2015, text ordering in June 2015, and ordering via Apple watches in February. 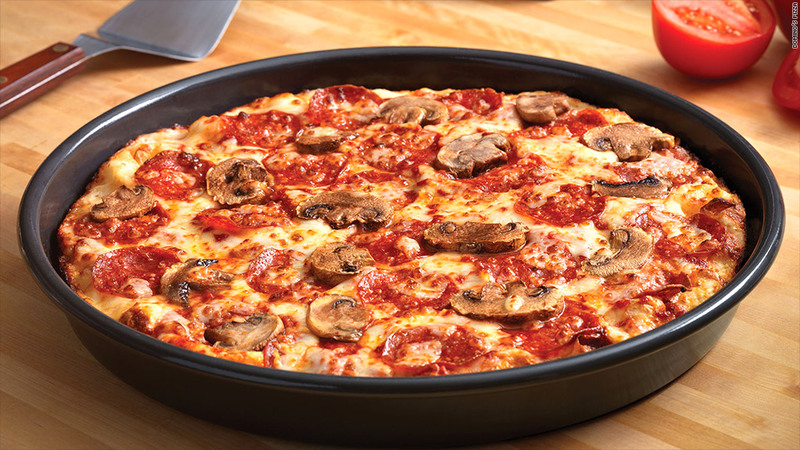 "Domino's is clearly winning the mobile technology headlines," Longbow Research analyst Alton Stump said in a March report. Though Domino's has received much of the attention, it's also been a great year for pizza. Rival Papa John's (PZZA) stock is also up 36% in 2016. Yum! Brands (YUM), which owns Pizza Hut along with fast food mainstays Taco Bell and KFC, has seen shares increase 24% in 2016.